You can tell whether a number is divisible by 2, 5, 10, 100, or 1,000 simply by looking at how the number ends — no calculations required. 900,000 is divisible by 100,000. 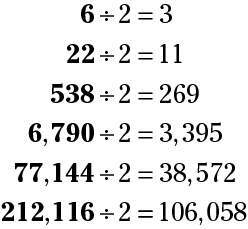 235,000,000 is divisible by 1,000,000. 820,000,000,000 is divisible by 10,000,000,000. 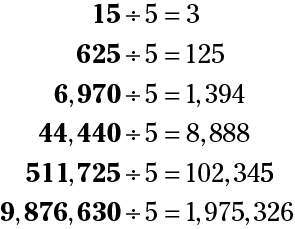 When numbers start to get this large, mathematicians usually switch over to scientific notation to write them more efficiently.